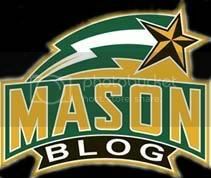 George Mason Basketball: Gunston on his way out? Yes yes oh god yes. Gunston is on his way out. I don't have all the details but at the first home game (11/17) a new mascot will be revealed in some capacity. Long time readers of this blog know well of my hatred towards Gunston. 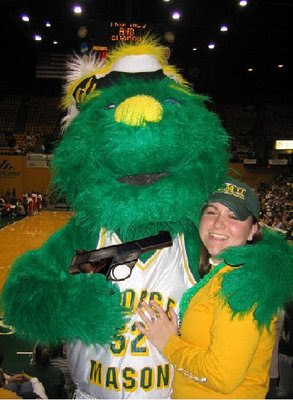 Will the new mascot resemble actually resemble a Patriot and not a green blob? Stay tuned. UPDATE 11/10: New video on Gomason.com. Gunston is apparently "graduating". Best thing to happen to GMU since the Final Four. I guess all those badass recruits are good too. I still hate Obama more.